Featured in "The Jewish Press"
When it comes to serious Jewish matters, I have zero patience for stupidity. When “hasbara” (public relation) champions celebrate nonsense to curry favor with any group of non-Jews feigning friendship, it strikes a visceral cord. The Jewish failure to act logically and behave with self-respect is an affront to Torah. We cannot defeat the Arabs if we cannot understand what it is to be Jewish, or to appreciate what our correct reason for being is based upon. One of the more troubling fads of late is the hasbara version of the “indigenous rights” movement, which posits that Eretz Yisrael belongs to us Jews because we are somehow indigenous to the region. (What region, you may ask? The Levant? The Fertile Crescent?) Jews did not arrive at this novel notion by themselves, since those advocating for indigenous “rights” are generally activists and leftists who hate Jews and eagerly defend Arabs as supposed victims of Jewish aggression and Zionist imperialism. To date, the majority of such groups side with the Arabs. Only recently, have we seen the phenomenon where a handful of lone individuals representing “indigenous peoples” aligned themselves with popular hasbara movements. Contrary to the assertions of many popular online “hasbara” champions, we Jews are NOT “indigenous” to Eretz Yisrael. An honest analysis of the term (always defined by those advocating for such a concept) reveals that to the extent that a definition of “indigenous” could theoretically apply to Jews, it could surely also apply towards other groups, including Arabs. “Martinez-Cobo’s research suggests that indigenous communities, peoples and nations are those which, having a historical continuity with pre-invasion and pre-colonial societies that developed on their territories, consider themselves distinct from other sectors of the societies now prevailing on those territories, or parts of them. They form at present non-dominant sectors of society and are determined to preserve, develop and transmit to future generations their ancestral territories, and their ethnic identity, as the basis of their continued existence as peoples, in accordance with their own cultural patterns, social institutions and legal system. Frankly, I am not interested in this general discussion since I cannot concern myself with the issues of the “indigenous peoples” of the world. Furthermore, the pseudo-academic ramblings of some leftist sociologist who writes statements for the United Nations has no bearing on my beliefs. Nor are they relevant to Jewish concerns. From a Torah perspective, the Arabs have no rights to Eretz Yisrael, nor do any non-Jews, even among the most noble and righteous of them. Mr. Bellerose is willing to grant Arabs “rights of longstanding presence.” I am not. Because the Rambam and the classical rishonim and acharonim say differently. Fortunately, such concepts are both irrelevant and unnecessary for Jews who follow Torah. Eretz Yisrael belongs to us Jews exclusively, for one simple reason: G-d gave it to us. From a Torah perspective, the false claims of other groups who argue likewise are irrelevant, since their ideologies arose long after G-d revealed Divine truths at Mount Sinai. 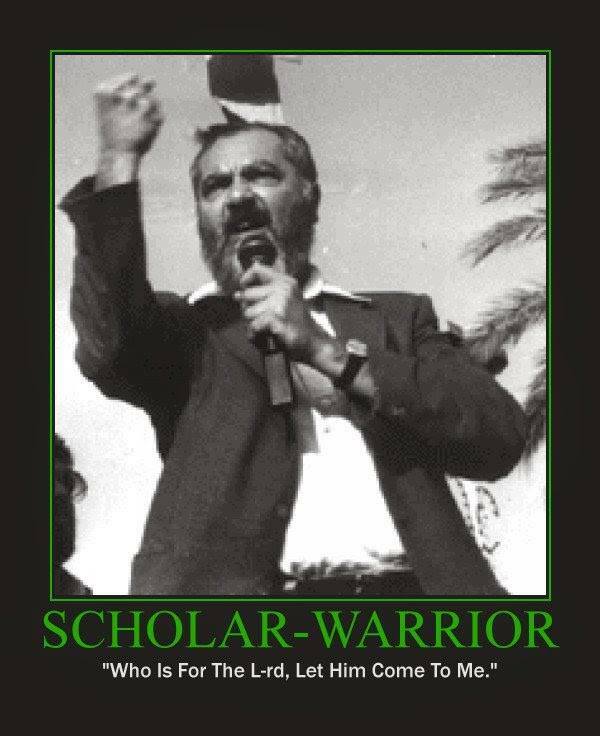 Yet the indigenous rights movement as it relates to Jews is not only foolish, it is dangerous, since even the most well intended advocates harbor un-Jewish notions far removed from Torah values. They have become spokespersons for Jewish values, when their ideas are antithetical to Torah. They would like to see indigenous rights applied to other groups in Israel, not just Jews. From the Torah perspective, this is entirely incompatible with Halacha. Whether advocating for a purely secular Israel, or a pluralistic Israel allowing equal rights to all faith communities, none of these are in accordance with Halacha. On a more troubling note, some of these indigenous rights activists have alliances and friendships with missionary groups and prominent messianic personalities. On their trips to Israel and across the U.S., they often meet and greet these individuals, and in doing so, betray that they are not people who have our best interest at heart. They are not a monolithic entity, yet it is fair to say that these activists all have their own agendas. Many sensible Jews support their campaigns, and the dangerous claim that our right to Eretz Yisrael is, at the very least, partially due to indigenous rights. 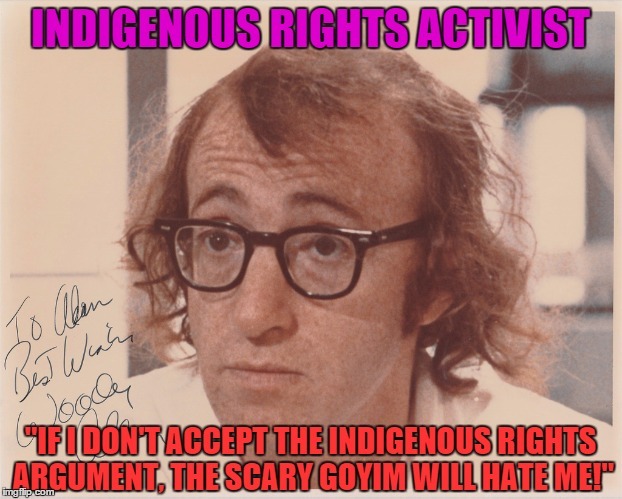 “Indigenous rights” is a multicultural strain of thinking that ironically many normal Jews who usually reject such notions accept without question. They accept the definitions of indigenous activists, which always remain vague enough to avoid scrutiny, and are imbued with the kinds of racist, blood-based theories that would be rejected outright if suggested by any mainstream group. Anyone who cites “blood quantum” in any context, other than to provide a blood transfusion should trouble us. Such ideas certainly have no basis in Torah. Yet in this case, since a handful of activists are willing to apply this exotic term to Jews, many hasbara types enjoy the prospect of appearing native. Consider the situation with Amerindians in North America. Contrary to the tenets of politically correct history, the notion of indigenous rights as it is often applied to them is historically problematic. Never one to take unbridled political correctness sitting down, I reject the contemporary portrayal of all “native Americans” as peaceful environmentalists. Savagery was not the sole domain of “the white man,” since long before there were white men on the continent, Native Americans butchered one another. The archeological records attest to this fact; they expelled and killed one another. 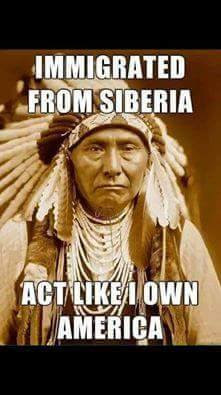 Ø Did such people abandon their indigenous status to their original lands when they migrated? Did they retain indigenous statuses in both regions? Ø What is the indigenous natures of tribes who displaced and exterminated other tribes from different regions during the many brutal campaigns of warfare that tribal people’s engaged in with other Native Americans? Those activists who argue for Jewish indigenous rights ignore the historical record conveyed in the Torah of indigenous “First Nation” people who fell under our sword. Non-believers may question the authenticity of the biblical account, but even a bible denier cannot reject the historical record. They were here first. Most honest Native Americans see parallels with Jews who entered “Canaan” with colonizing Europeans, who “stole land” from the Indians. From a Jewish perspective, the notion of a blood-based identity is an affront to Judaism, which accepts the genuine convert. Our connection to Torah is based upon adherence to the law rather than imagined notion of race. In a sense, the Jewish desire to argue “indigenous rights” is a reaction formation to absurd Arab assertions that they are the descendants of Canaanites. G-d gave us the land of Israel, despite the presence of “indigenous” peoples who were there long before us. It did not matter, since The Almighty created everything. Upon entering the land, our mandate was clear. Clean the land of the “indigenous” inhabitants. I understand that many secular Jews are uncomfortable with religious claims that contradict their worldview. I disagree with them, but I understand where they are coming from. In the absence of Torah knowledge, religious claims are meaningless. What I cannot fathom is that so many religious Jews latch on to un-Jewish theories to justify our Divine inheritance. I do not require an indigenous claim. I have the same claim that motivated the great Joshua to conquer Eretz Yisrael from the pagan Canaanites who were already residing there when we Jews first arrived. We Jews are not Philistines, Canaanites, nor Jebusites. We were the conquerors of the former on a Divine mission. Indeed, our failure to purge Eretz Yisrael of these indigenous types is something the Torah repeatedly warned about, and is the direct cause of the land vomiting us out. Divine rights are the only arguments that have any meaning to me as a religious Jew. A self-respecting Jew need never be ashamed to speak the truth of Tanach, which records our only true claim to Israel. Balfour Declarations and U.N. votes are of zero worth for the Torah Jew. A disconnected Jew may be ashamed of the religious claim. A genuine tragedy, since it is the only moral claim we Jews can hang our hats on. In the absence of that, we are merely one more example of colonizers who claimed a plot of land. “Now you might ask, why is this important? It is important to indigenous people because we cannot allow the argument that conquerors can become indigenous. If we, as other indigenous people, allow that argument to be made, then we are delegitimizing our own rights. Therein is our Jewish answer. Based upon our biblical claims, we Jews cannot be indigenous, since we conquered the Canaanites. According to Bellerose’s definition, our Jewish biblical account renders us as conquerors. As such, those who believe in Torah cannot subscribe to his theories. Advocates for indigenous Jews can never answer these questions. What do we do with the Canaanites? Perhaps a better question is, what did we do, or what should we have done to the Canaanites? The great biblical and talmudic commentator Rashi destroys the “indigenous rights argument” with his commentary on the first verse in the Book of Genesis. He cites Rabbi Yitzchak who questioned why the Torah began in this manner detailing creation rather than from the first mitzvah. This would make sense since the Torah essentially deals with Halacha. He answers that the Torah began with creation so that the nations in the future when they pointed out our conquest of the 7 Nations, the Jewish people could answer that the whole world belongs to Hashem. 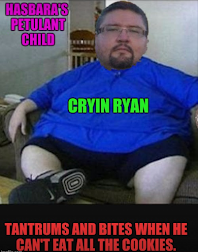 He can give it to whichever people He desires. At the time, he saw fit to give it to the Canaanites, and then he removed it from their control and gave it to us. Case closed. The indigenous argument loses. From a Torah perspective, the notion that we Jews have a claim to Eretz Yisrael based upon “indigenous rights” is absurd. We are not "indigenous" to Israel. Indigenous is a nonsense term which race obsessed multiculturalists use. Israel belongs to the Jewish nation, because G-d gave it to us. We conquered the Canaanites, and now it is ours. Our claim to Eretz Yisrael is Divine inheritance. Indigenous claims amount to pseudo-science, which in turn, would grant indigenous rights to practically every other minority group living in Israel today. In fact, this is the intention of many who advocate for such a concept. Fellow Jews: leave the indigenous argument where it belongs. In the halls of the U.N. G-d gave us the land of Israel and that is enough.